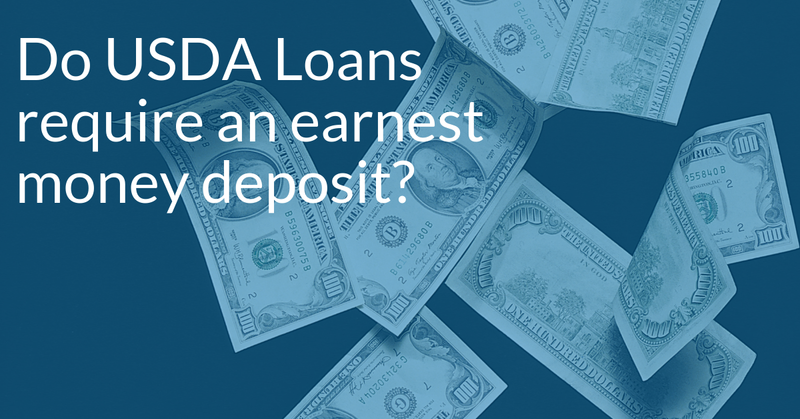 Is an earnest money deposit required on a USDA loan? Many think that 100% financing is the same as “no money out-of-pocket”, but just because there is not a down payment involved, minimum out-of-pocket expenses may still be required. In today’s short video, I will discuss what expenses to be prepared for even when you are qualifying for USDA No Down Payment loan. By the way, don’t forget to download our USDA Blueprint for Success with the link below, this complimentary guide is designed to walk you through the USDA qualifying process step-by-step and is ideal for both homebuyers and Realtors alike. 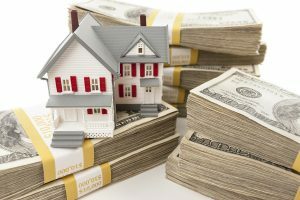 It is common for a buyer to prepare for two out-of-pocket expenses, which include their down payment and settlement charges. Earnest money is a deposit on the house you want to buy. 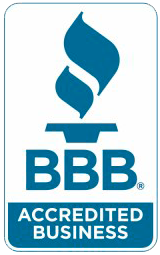 It helps to show sellers that you are earnest, or very serious, about buying their home. While USDA loans do not require an earnest money deposit, the amount of any deposit would be decided upon between the buyer and seller and listed on the sales contract. With a USDA loan it is possible to receive all or a portion of the EMD back at closing, but this is dependent on what the home appraises and not a guarantee. 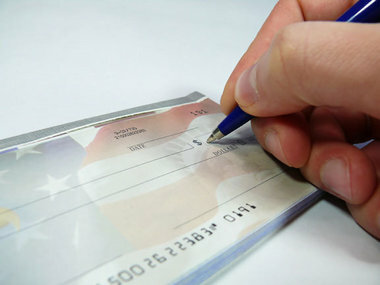 Please remember that as part of the approval process, we will always need to verify this very important deposit. These are customary out-of-pocket expenses that should be paid by either check or credit card when the option is available because both of these forms of payment will allow for verification if needed. Settlement charges are made up of both closing costs & pre-paid items which may be financed into a USDA loan only if the appraisal is high enough to allow for the increased loan amount. USDA guidelines allow the seller to pay up to 6% of the sales price towards a buyer’s settlement charges. While a seller may or may not agree to this, provided it can be negotiated as part of the sales contract, this is another way to help reduce a buyer’s out-of-pocket money due at time of closing. Additionally, if any funds are owed by the buyer at time of closing, the Earnest Money Deposit will be credited towards that amount. 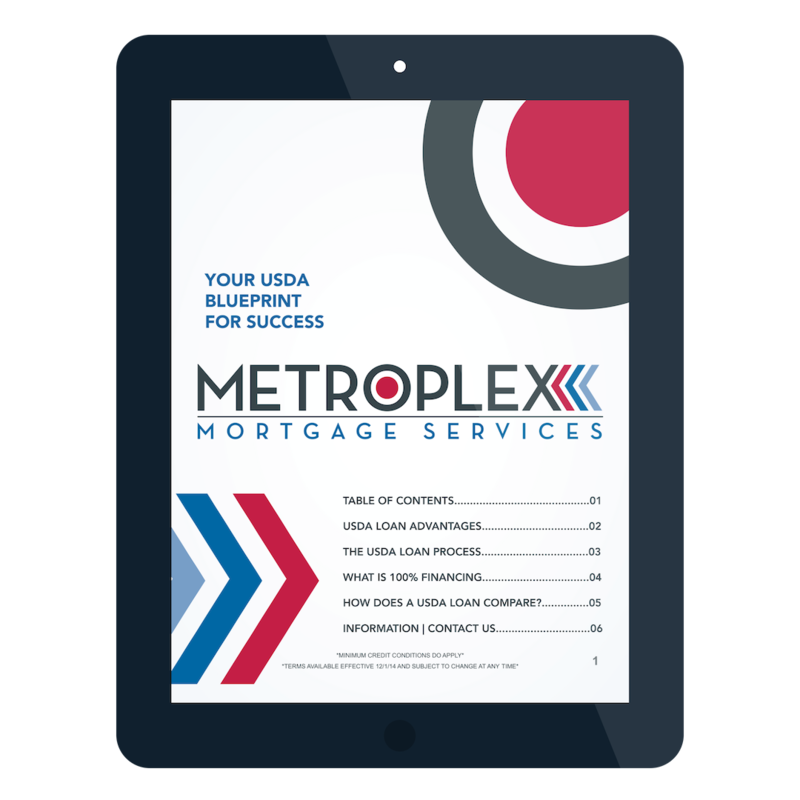 Remember, when you think USDA loans, Metroplex Mortgage Services has been the trusted resource that both homebuyers and realtors have come to year after year and we thank you for the continued recommendations!